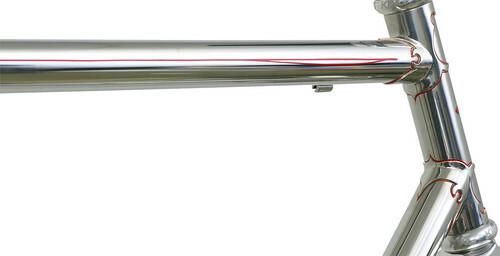 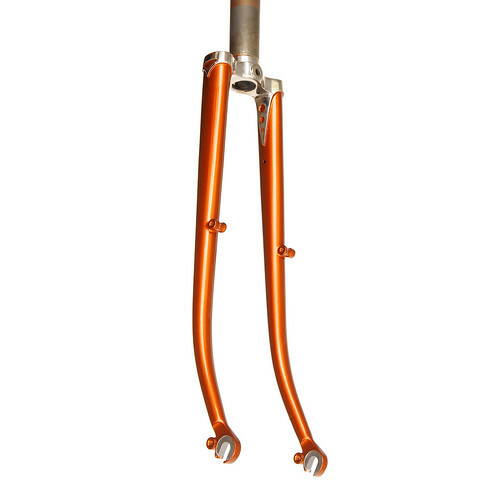 Enjoy the look of a classic chromed lug bike without the weight, corrosion problems and the environmental issues. 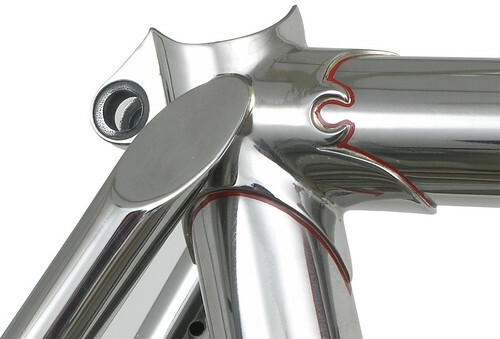 Thanks to our mix of custom and standard stainless tubes, we can give you the widest range of design flexibility available for this remarkable material. 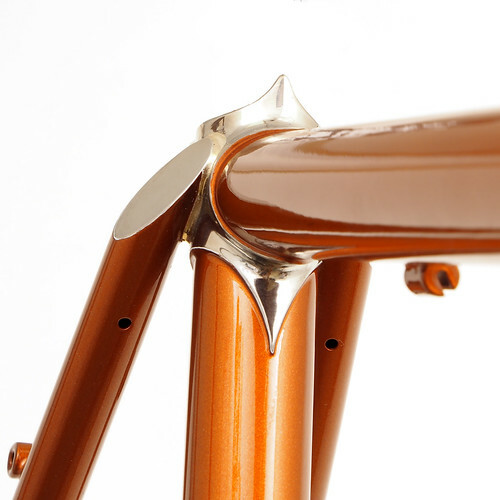 This natural extension of Waterford’s virtuosity with stainless steel dropouts, lugs and other parts makes us uniquely equipped to provide skillfully and reliably executed masterpieces. 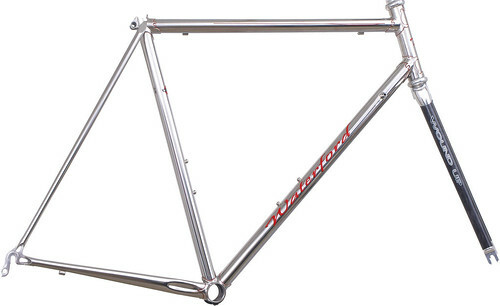 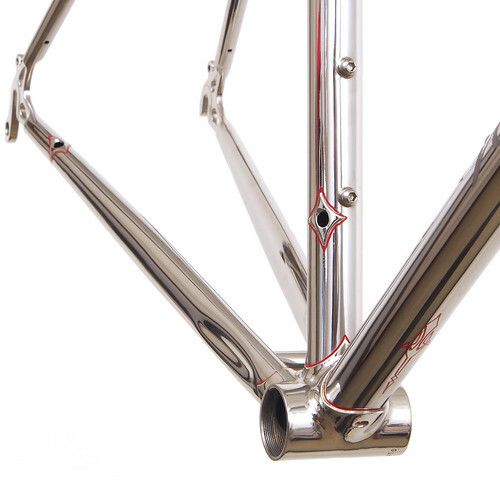 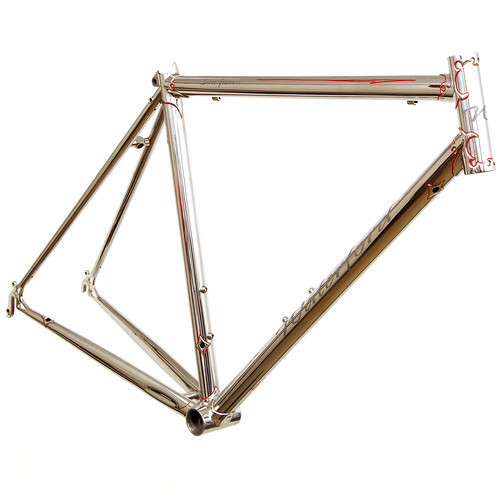 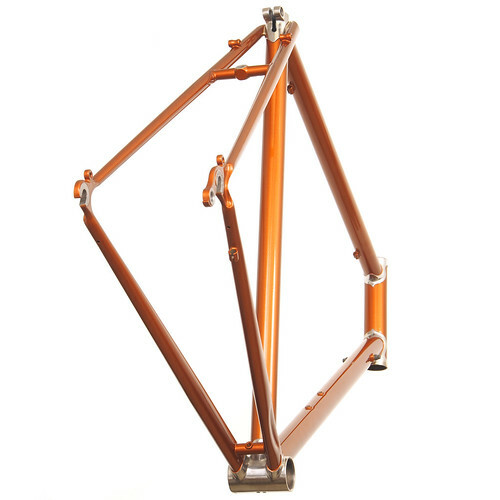 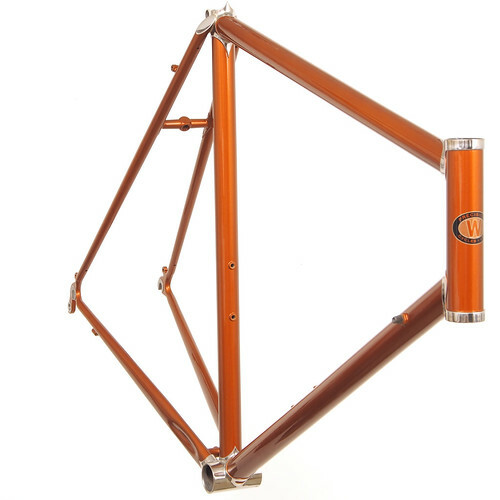 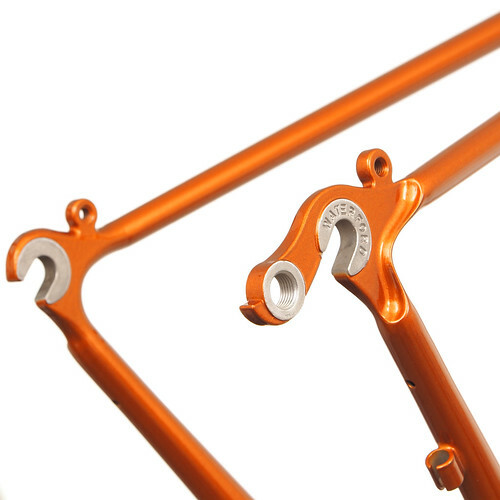 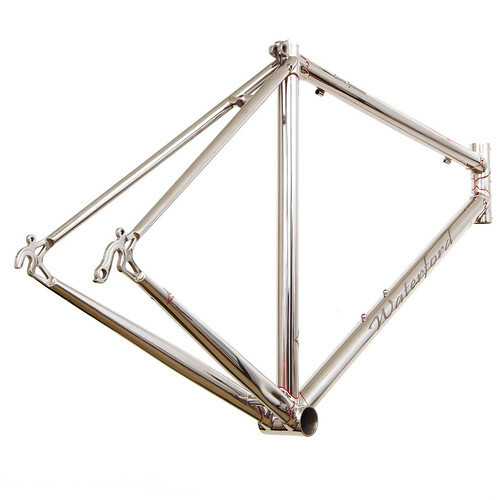 You can order your stainless brazed frame anywhere from a fully painted bike to a fully polished mirror finish. 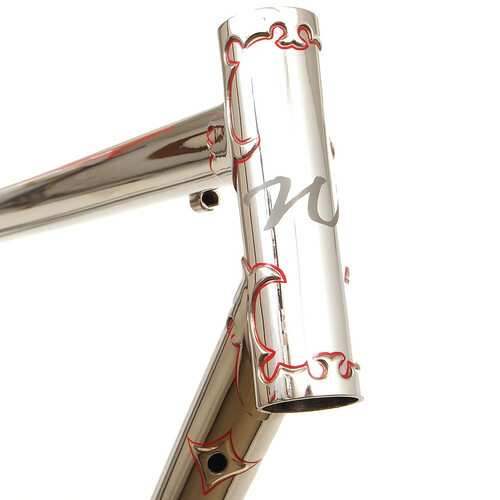 Waterford polished stainless steel frame with Richard Sachs' Newvex lugs, Waterford Artisan dropouts with a polished finish and red pinstriping. 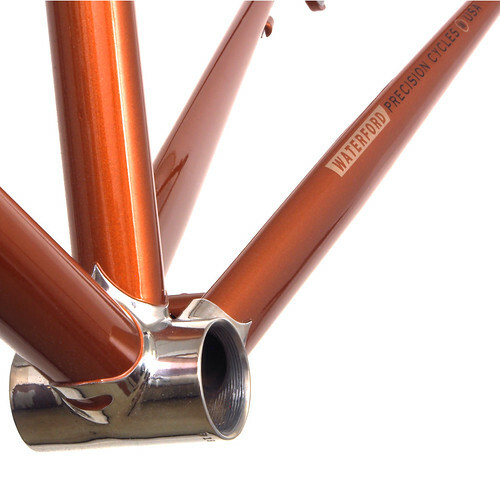 The polished alloy crown of the matching Wound-Up fork makes a great combination. 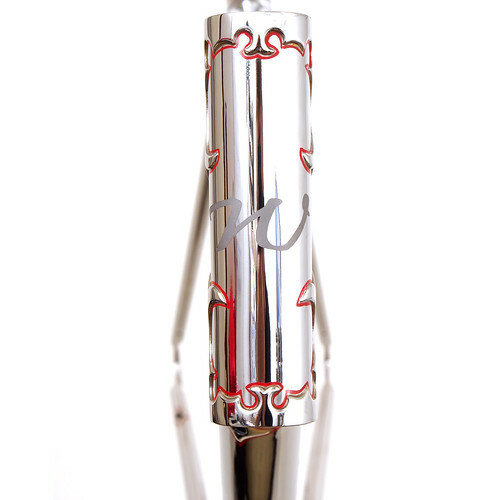 Waterford polished stainless steel frame with red pinstriping. 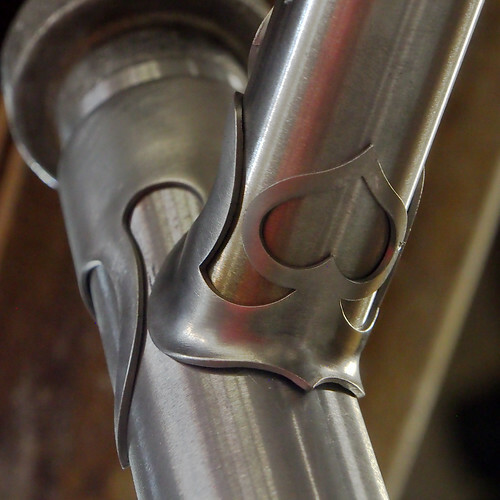 Seat cluster from a Waterford polished stainless steel frame with Richard Sachs' Newvex lugs. 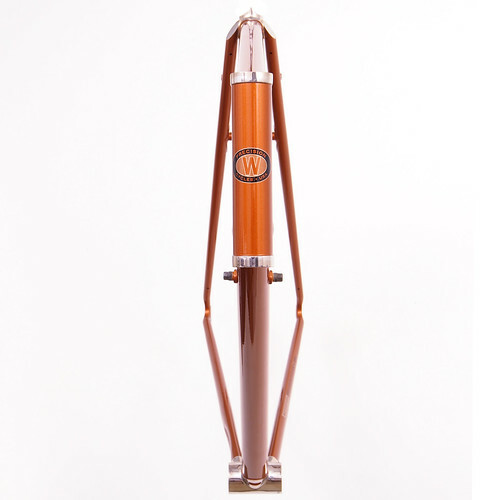 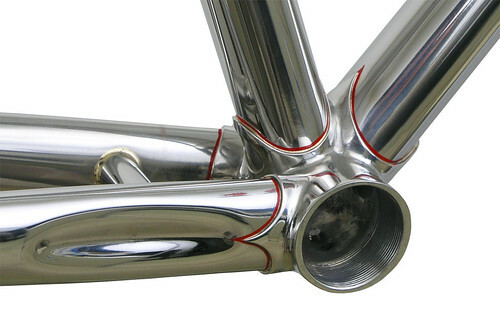 Top tube and head tube for a Waterford polished stainless steel frame with Richard Sachs' Newvex lugs, and red pinstriping.